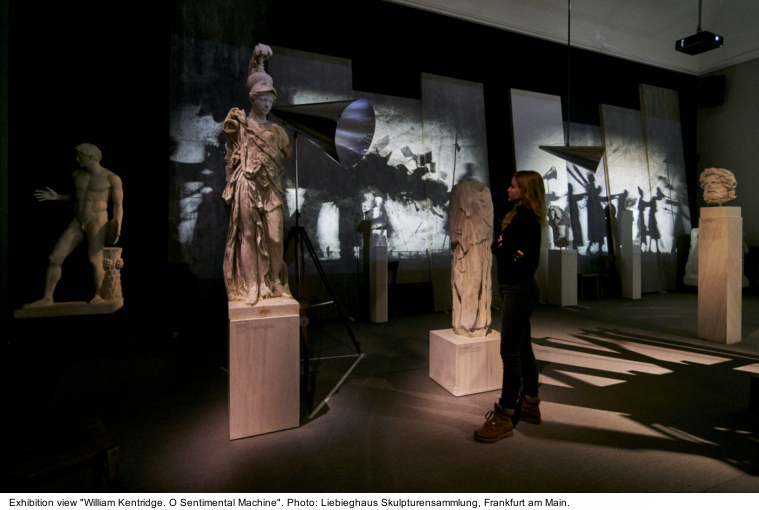 The Liebieghaus Skulpturensammlung presents a very special guest: William Kentridge (b. 1955) brings his works into dialogue with the collection of the Frankfurt museum, which spans 5,000 years. Conceived as a comprehensive exhibition showing over 80 works and installations, William Kentridge. O Sentimental Machine exemplifies the whole range of the South African artist’s oeuvre. Kentridge has made an international name for himself with his drawings, films, and theatre and opera productions. 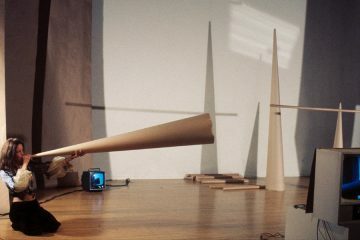 Already featured in solo exhibitions in the Museum of Modern Art in New York, the Albertina in Vienna, and the Louvre in Paris, as well as in opera productions at the Metropolitan Opera in New York, the Scala in Milano, the Salzburg Festival, or Documenta, his production as an artist is fundamentally interdisciplinary and combines different media and genres. 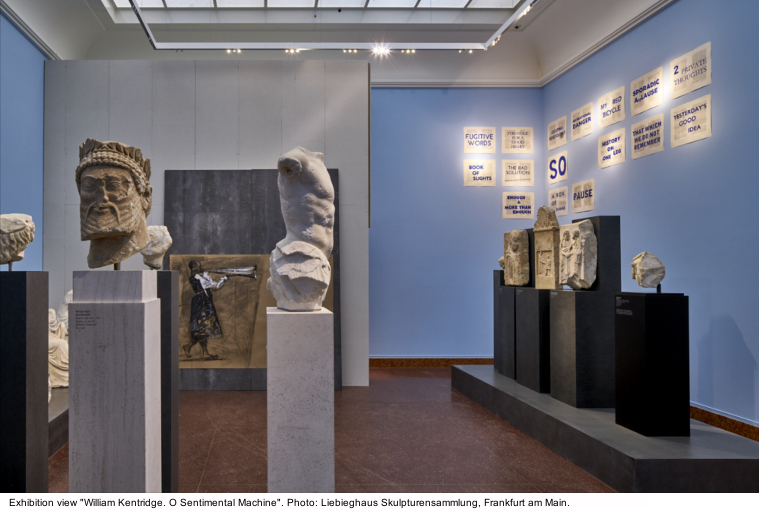 Staged by Sabine Theunissen and curated by Vinzenz Brinkmann and Kristin Schrader, the show extends across nearly all departments and rooms of the Liebieghaus Skulpturensammlung: from its antiquities collection and medieval rooms to the studioli of the historicist Villa Liebieg. 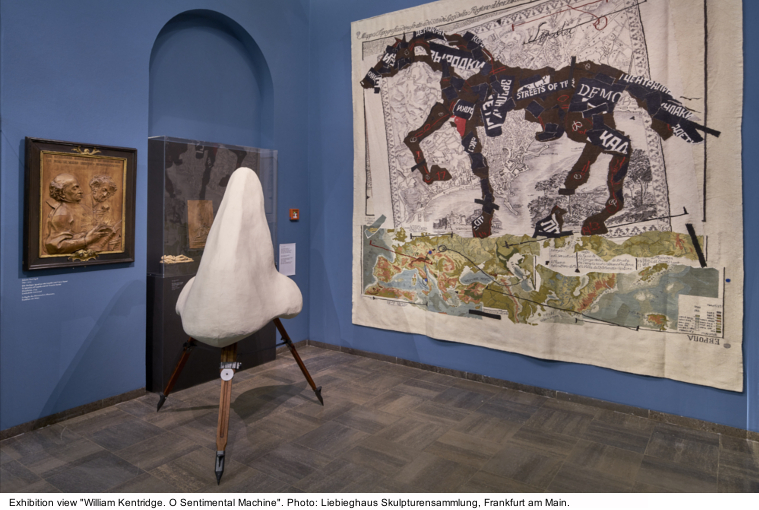 Visitors are invited to engage in a dialogue of art encompassing the entire museum, in which Kentridge’s conceptual, narrative, and aesthetic intentions closely interlink with the museum presentation of the Liebieghaus collection. Next to important workgroups such as the installation The Refusal of Time (2012) shown at Documenta 13 for the first time, the eponymous video installation O Sentimental Machine (2015), or the fully automatic miniature theatre Black Box / Chambre Noire (2005), the show in Frankfurt includes new works by the artist, among them the bronze sculpture series Lexicon (2017) or, a premiere, the kinetic sculpture Coffee Pot (2018). William Kentridge has also made nine ink drawings—overpaintings of motifs from the Liebieghaus—to be published in the catalogue accompanying the exhibition. After Jeff Koons. The Sculptor (2012), William Kentridge. 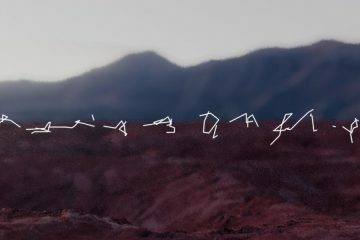 O Sentimental Machine is the second intervention of a contemporary artist in the Liebieghaus collection.The exhibition has been made possible by Art Mentor Foundation Lucerne and Kulturfonds Frankfurt RheinMain gGmbH. “It is a great gain to have William Kentridge as our guest. His works unfold a unique dialogue with the religious, ethical and political concepts of art from antiquity to the 19th century within the presentation of our holdings. 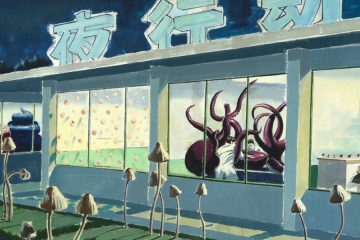 Bringing together our collection and its rooms with the whole range of this versatile artist’s creative work makes for a very special atmosphere. 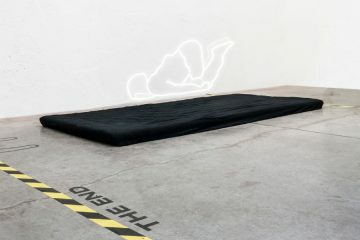 All senses are arrested in the best possible way,” says Philipp Demandt, Director of the Liebieghaus Skulpturensammlung. 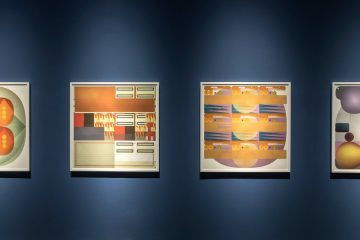 The exhibition focuses on the artist’s fundamental interest in the phenomenon of movement and its material-mechanic and optical-illusionist generation. Ranging from automatic theatres, which were already in great demand in the ancient world, to Renaissance anamorphoses and the 19th century precursors of cinematographic apparatuses, the techniques Kentridge falls back on forge a bridge across a long span of time. All this finds its reflection in charcoal drawings, sculptural works, objects, and films marked by the random, quick and makeshift tenor so typical of the artist. The 19th century constitutes a second exhibition focus: it offers itself to the development of issues concerning the inhuman definition of time and work in the era of industrialisation—issues that have pervaded William Kentridge’s political work from its very beginnings. At the same time, particularly the artist’s more recent installations that recall the concept of the Gesamtkunstwerk in their concatenation of different artistic means of expression enter into a fascinating relationship with the architecture of Heinrich von Liebieg’s villa and the opulent Historicism of the late 19th century it reflects.